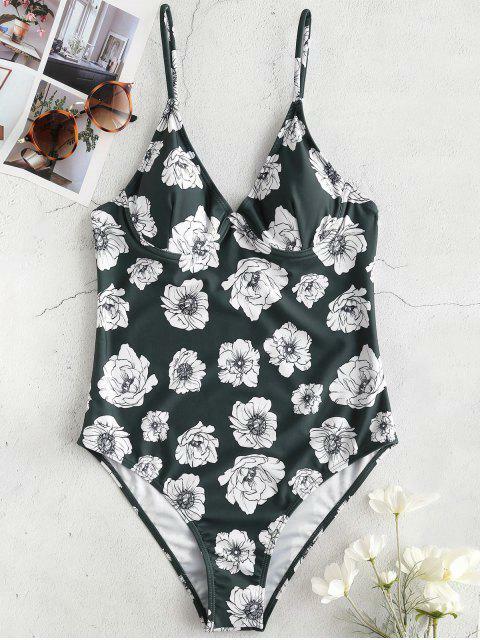 [13% OFF] 2019 ZAFUL Floral Underwire One Piece Swimsuit In MEDIUM SEA GREEN | ZAFUL .. Covered in a plain floral print, the simple silhouette is flattering to a wide variety of body shapes. Built-in underwire and adjustable straps are secured with maximum comfort and supports.